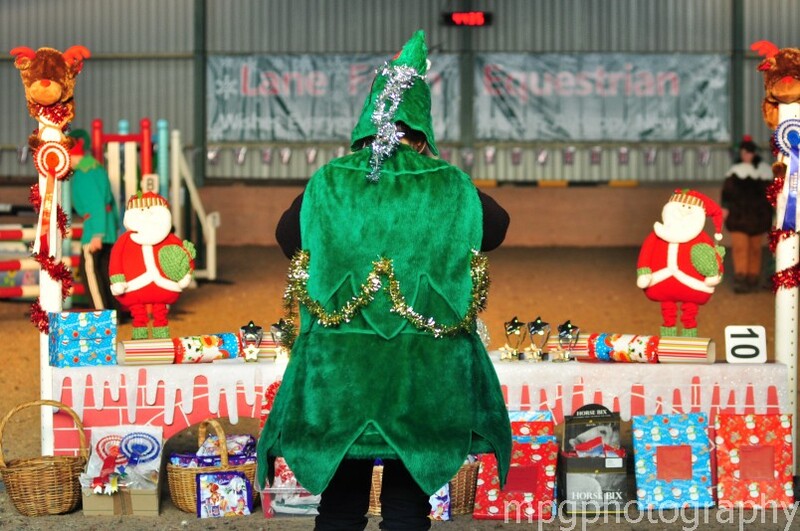 What a great day we had on Sunday, 16th December 2012 at our Festive Fun and Club Show, bursting to the seems with Christmas Cheer! Thank you everyone who took part and made it such a memorable day. 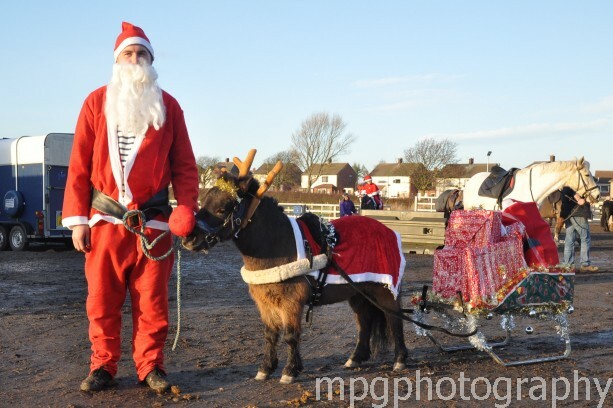 A special thanks to David Wright and Casper, or namely San...ta and Rudolph who judged our Santa and Rudolphs Christmas fancy dress competition. 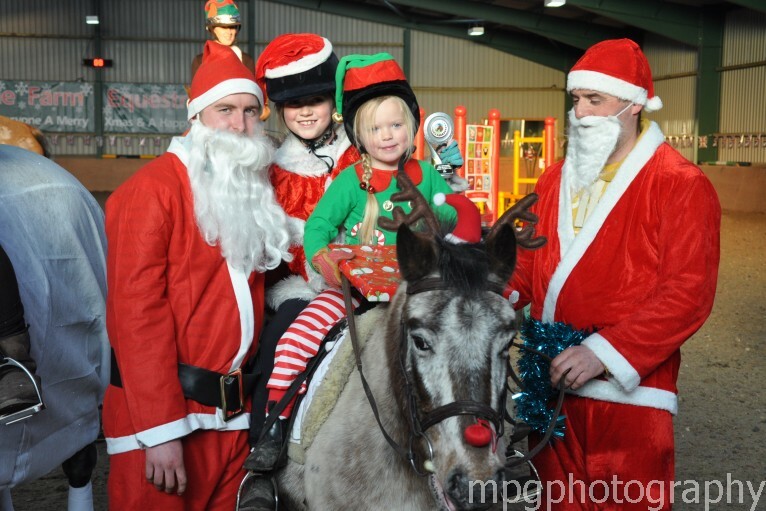 Casper was adorable as Rudolph and even pulled a sledge and never flackered! 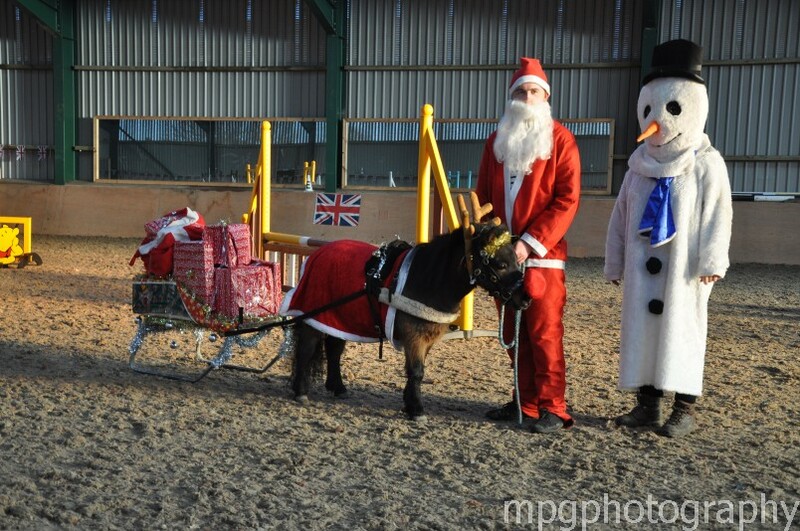 David has had Casper since he was six months old and this was Caspers third appearance at Lane Farm, the first being a trick pony for the Queen at our Jubilee Fun and Club Show and secondly pulling a chariot at our Olympic Fun and Club Show … ah, happy days at Lane Farm. 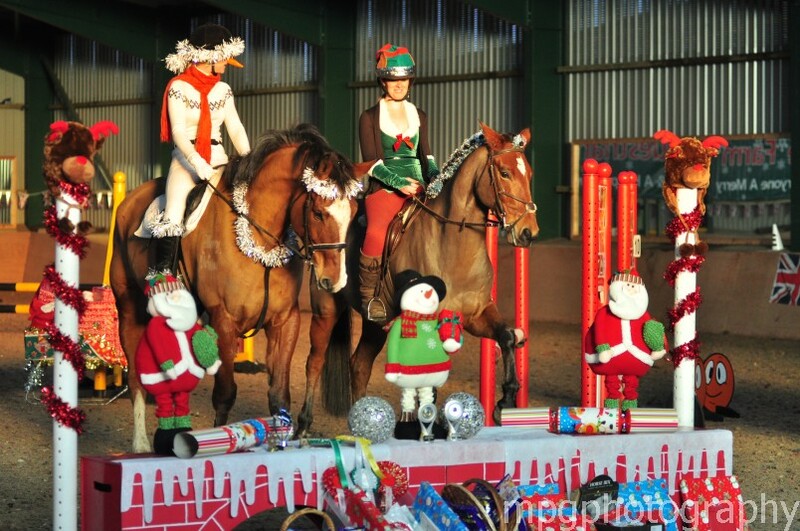 Congratulations to our Christmas Fancy Dress winners, the very cute Piper and Scout Clark with their dad Jimmy for Juniors and Helen Harvey and Danielle Owen who were a pair of Robin Red Breasts for seniors. All our contestants were brilliant, thanks for all the great work you put into it. We also had our Autumn series Shooting Stars presentation, congratulations to winners Jodie Beckham and Charlotte Robinson and to the runners up. We were proud of you and hope you enjoyed your dramatic entrance to ‘Star Wars’ - Well Done. 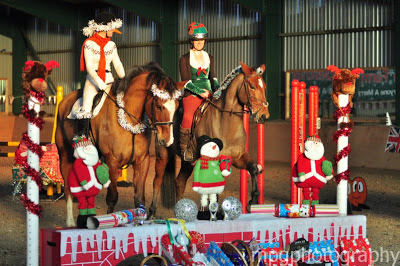 With a brilliant days showjumping the day ended literally on a high, with Becky Tinnion and Kaylie Ritson sharing the Down and Out jumping a massive 1.60m – WOW it was so exciting and entertaining, thanks girls. PS: Don’t forget to take a look at our colourful, fun photos from the big day itself… below.